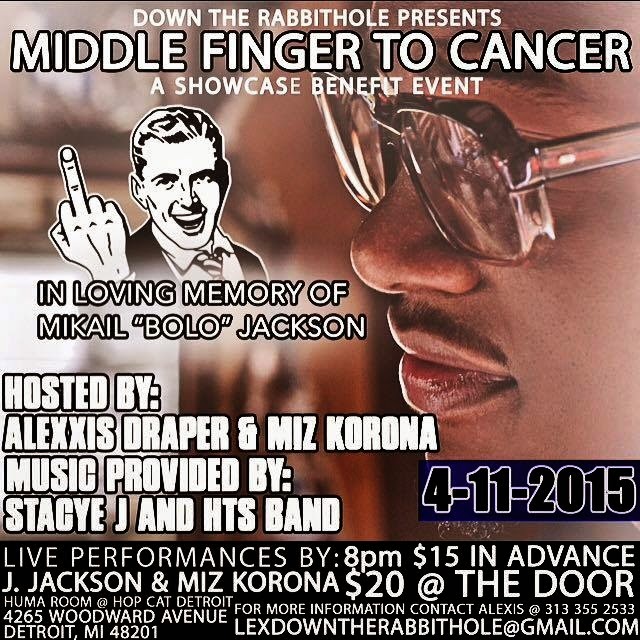 In loving memory of Mikail "Bolo" Jackson catch J. Jackson on stage with Miz Korona for the 'Middle Finger To Cancer' event being held by Down The Rabbithole in the Huma Room at Hop Cat Detroit on April 11th, 2015 at 8pm. Tickets are $15 in advance. Hosted by Alexxis Draper with music provided by Stacye J and HTS Band. See you there!